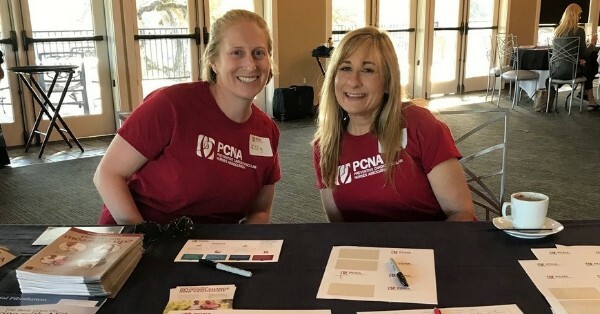 PCNA hosts continuing education programs in cities across the country each spring and fall. Join us for free sessions, where you can network with colleagues and earn continuing education contact hours. Each event is designed to meet the needs of the local audience, so topics and CE hours will vary. To learn more about an event, see the list below. Join us for a complimentary educational event this spring, where you can network with colleagues, earn 1 CE contact hours, and learn more about PCNA. PCNA members and non-members are welcome to register and attend. Please share this with colleagues and friends. Join us for a complimentary educational event this spring, where you can network with colleagues, earn 3.0 CE contact hours, and learn more about PCNA. PCNA members and non-members are welcome to register and attend. Please share this with colleagues and friends. The Classic Cup Cafe, 301 W 47th St.
Join us for a complimentary educational event this spring, where you can network with colleagues, earn 1 CE contact hours and 0.5 pharmacology, and learn more about PCNA. PCNA members and non-members are welcome to register and attend. Please share this with colleagues and friends. Join us for a complimentary educational event this spring, where you can network with colleagues, earn 2.0 CE contact hours and 0.5 pharmacology, and learn more about PCNA. PCNA members and non-members are welcome to register and attend. Please share this with colleagues and friends. Join us for a complimentary educational event this spring, where you can network with colleagues, earn 1.0 CE contact hours, and learn more about PCNA. PCNA members and non-members are welcome to register and attend. Please share this with colleagues and friends. Adam W. Herbert University Center, 12000 Alumni Drive. Join us for a complimentary educational event this spring, where you can network with colleagues, earn 1.0 CE, 0.5 pharmacology contact hours, and learn more about PCNA. PCNA members and non-members are welcome to register and attend. Please share this with colleagues and friends. Grandma’s Sports Garden, 425 S Lake Ave.